Sneezing, stuffy nose, aching everywhere. Who has time for that! 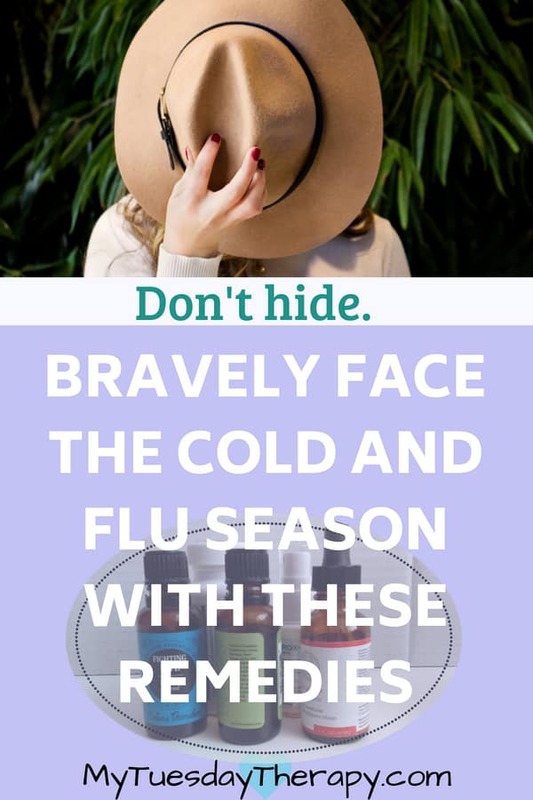 Prepare a cold and flu season kit of natural remedies to ward off viruses. The best thing of course would be to have such a great immune system that viruses would not be able to do any harm. But many of us are not quite there. If you have a chronic illness, like adrenal fatigue, you more than likely have a weak immune system. 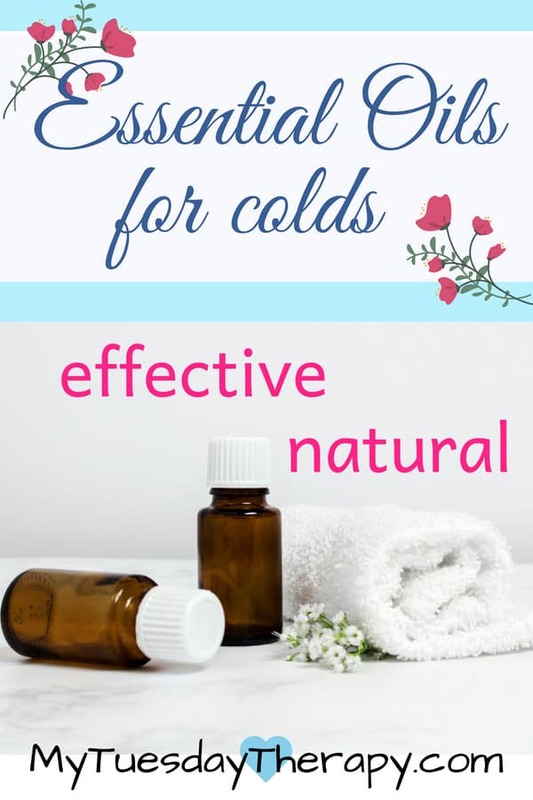 These natural cold remedies are very helpful in speeding up the recovery and reducing the severity of symptoms. I suffered from a severe adrenal fatigue for many years; and I was constantly sick. Some of the following products were recommended to me by my naturopathic MD. Some of them I found on my own. 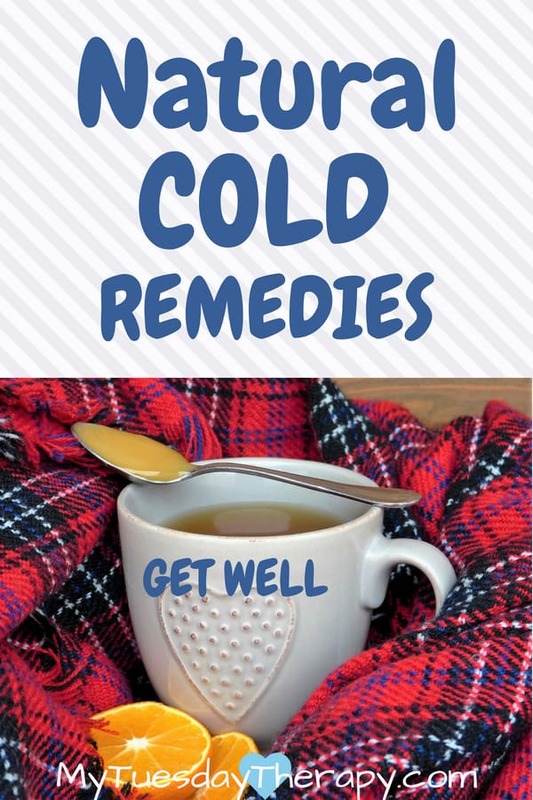 All of them are awesome natural remedies for colds. It always helps to stop a cold in tracks. Most natural remedies work best when taken at the first sign of the illness. This post contains affiliate links. If you choose to purchase through my links, I’ll get a small commission at no extra cost to you. I have used these two essential oils with very good results. I start using one topically twice a day at the first sign of cold. Or as a preventative measure once a day when I’m around sneezing and sniffling people. You can also put them in a diffuser. If you don’t have one you could put a drop or two in a cotton ball and spread a few of those throughout the house. An excellent natural remedy for colds and flu. It is a blend of clove, cinnamon, rosemary, lemon and eucalyptus. This one is a blend of eucalyptus, frankincense, lemon, eucalyptus, sweet orange and tea tree. This essential oil is a great natural cold remedy for kids. It is a blend of silver fir, cedarwood, pine, spruce, sweet orange and lavender. This blend contains lemon, lavender, rosalina, sweet marjoram and spruce. I love the Eden’s Garden essential oils. They are 100% therapeutic grade, steam distilled/cold pressed without any adulteration or synthetic additives. Coconut oil is antibacterial and antiviral so it is another product to have in your cold season kit. I use it daily for oil pulling. If I feel like I’m getting sick I do oil pulling more often and longer (at least 20 minutes). I also try to add coconut oil in my diet daily even more so when I’m ill. I use Nutiva coconut oil and always find it at a good price at iHerb. If you use iHerb promo code LAB515 you’ll get 5% off your order. Two simple ingredients that are amazing immune system boosters. Raw honey has antiviral and antibacterial properties. And cinnamon is a great source of antioxidants. Mix 1 tsp of honey with 1/4 tsp of cinnamon and enjoy the mixture like that or mixed in tea. This is a very effective natural remedy for cold viruses! I take it twice a day. It is packed with immune boosting vitamins and herbs. It has reduced the length of the colds and the severity of the symptoms. A great alternative to Total VR-X. Opti-Immune Vrl also contains vitamins and herbs to give a boost to your immune system. This product is only available from natural healthcare providers. If you are able to locate a naturopath, chiropractor or someone else who sells these, I’d highly recommend you get it. It is awesome! Viral-Fuge is a great alternative to VRL EXP. I have used it in the past many times to fight off viruses. Both of these are great at getting rid of viruses and speeding up the recovery. Currently VRL EXP is what I have in my cold season kit. In acute conditions I’m supposed to take 5 drops every 30 minutes. And that really makes a huge difference. After a day or so I take 10 drops three times a day. A homeopathic flu spray that boosts your immune system. I was advised to take 2 to 4 sprays once a week for prevention or daily during symptoms. Some acupressure points are very good at speeding up the recovery and alleviating symptoms. 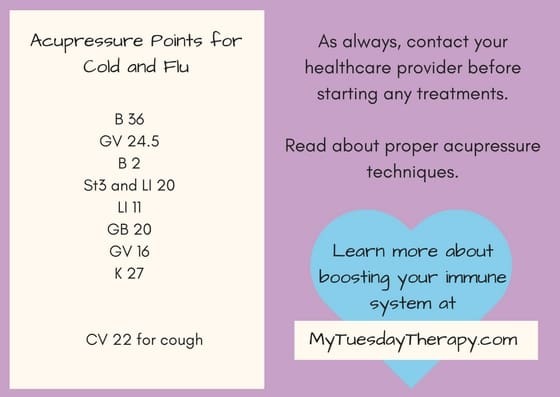 Print out the acupressure points for colds and put in your cold and flu season remedy kit. Black and white printable available too. Be prepared this cold and flu season and get your kit ready before you need it :). Then if you feel the first scratch in your throat or the unusual fatigue creeping up, you can just reach for your kit and stop the viruses in their tracks. Give your immune system a boost with these simple yet effective methods. 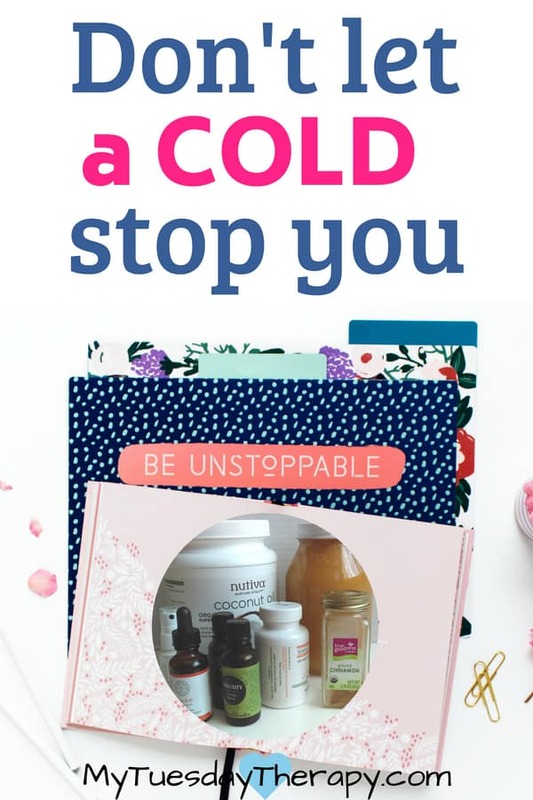 Also read 4 Supplements to Boost Your Immune System. Sometimes sleeping can be difficult during a cold (or if you have a certain type chronic illness). Read about the Sleep Remedies that have helped me a lot. Stress Depletes Nutrients – Are You Deficient? Shilling M, Matt L, Rubin E, Visitacion MP, Haller NA, Grey SF, Woolverton CJ.2013. Antimicrobial effects of virgin coconut oil and its medium-chain fatty acids on Clostridium difficile. Shilhavy, Brian. 2017. Coconut Oil Offers Hope for Antibiotic-Resistant Germs.